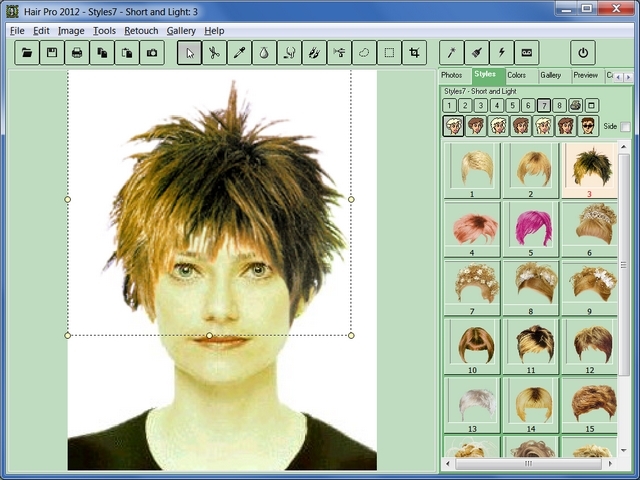 Choose a hairstyle and adjust it! 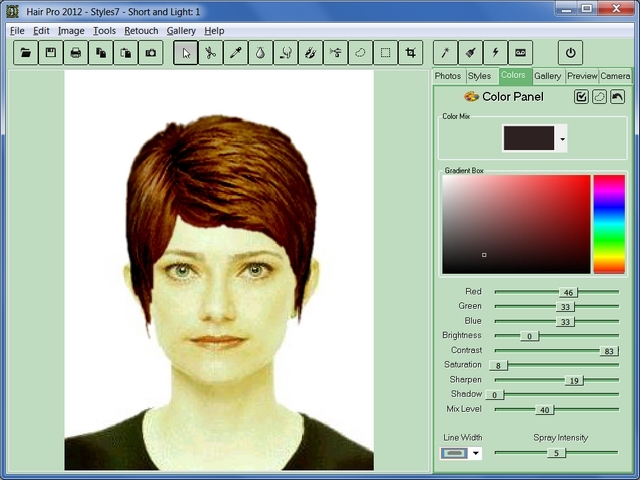 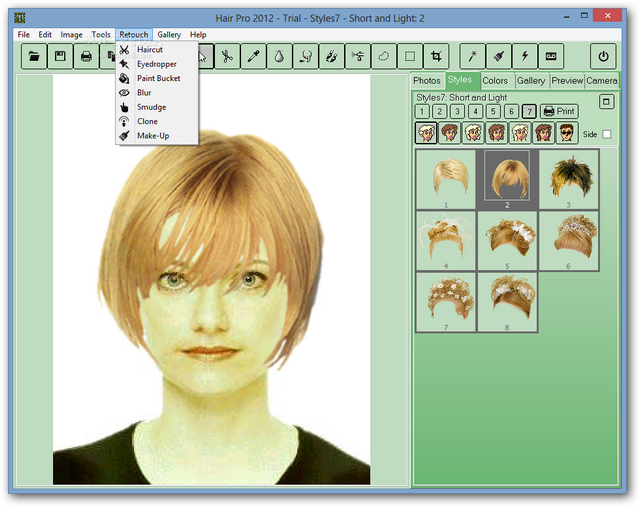 The Color Panel with the new Color Mix feature. 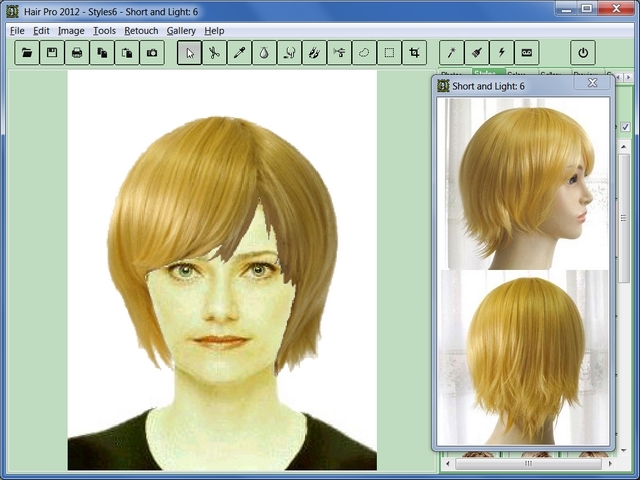 The new Side View. 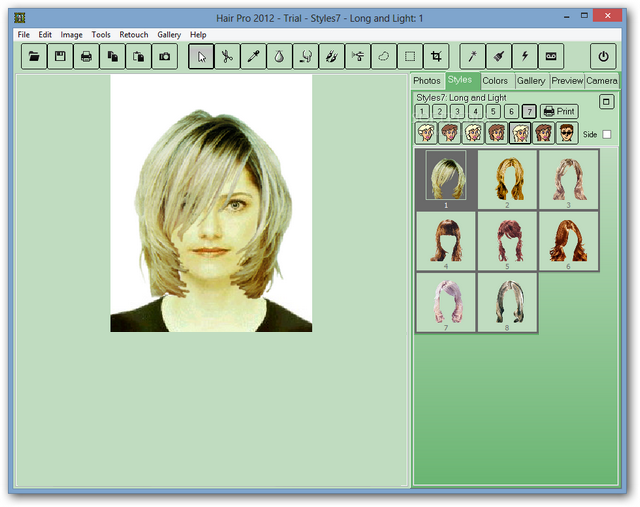 At the right you can see the Preview tab, showing all hairstyles already positioned. 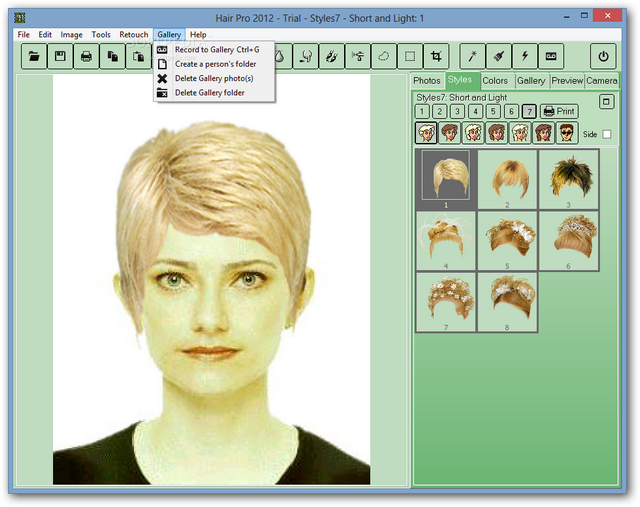 You just need to adjust the first hairstyle over your photo. 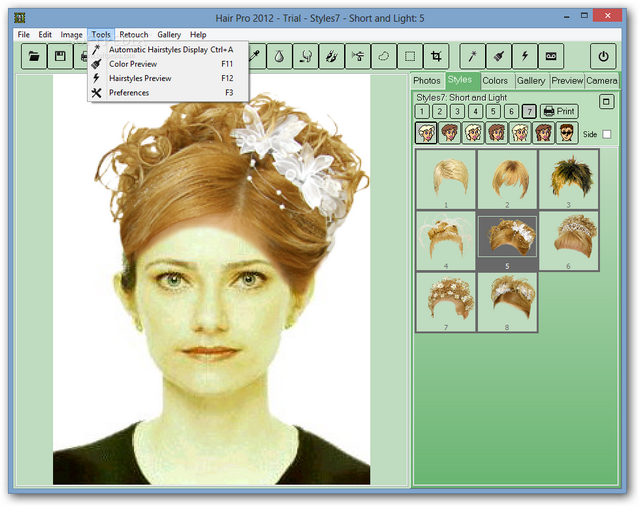 Then the Preview button does all the job for you. 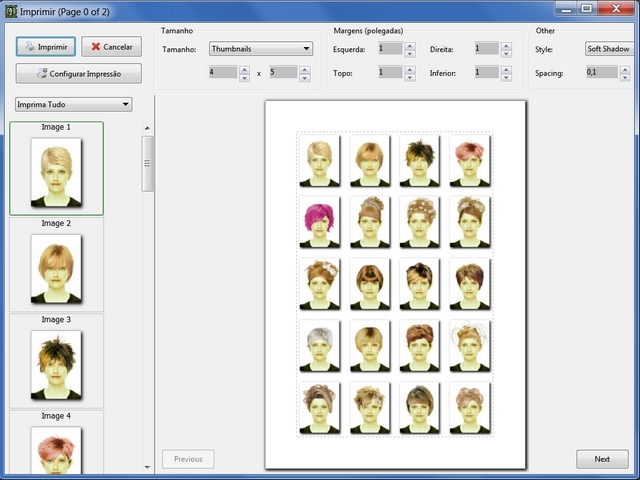 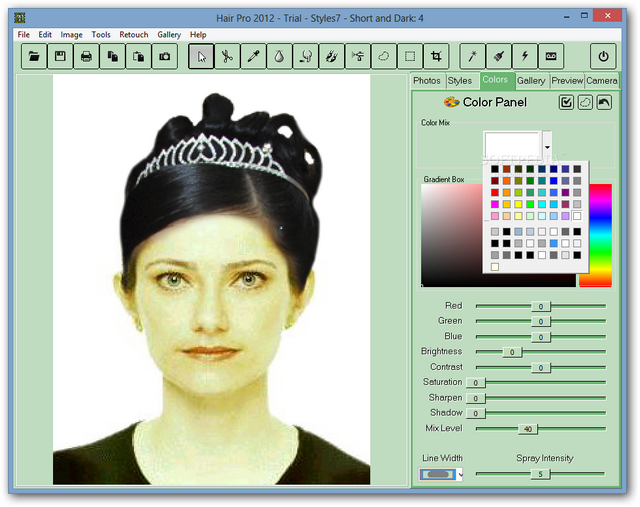 The Print Preview shows on the screen all hairstyles already positioned, so you can decide which fits best.